The hip joint is one of the largest joints in the human body and is known as a 'Ball & Socket' joint. 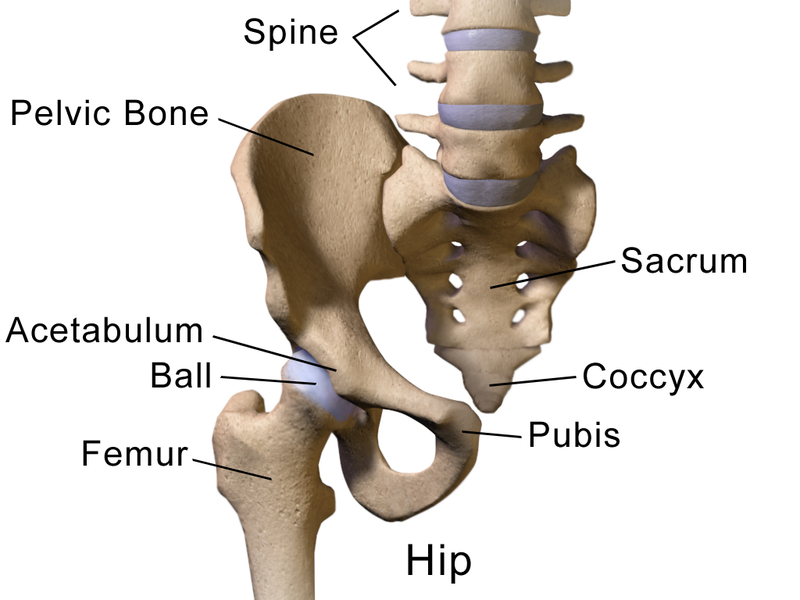 In a healthy hip joint, the bones are connected to each other with bands of tissue known as ligaments which are lubricated with fluid to prevent friction. Joints are also surrounded by a type of tissue called cartilage that is designed to help support the joints and prevent bones from rubbing against each other. The main purpose of the hip joints is to support the upper body when a person is standing, walking and running, and to help with certain movements, such as bending and stretching.